In January I switched from a contract to a full time position at Mozilla, and as an employee I was eligible for a new computer. I definitely needed a powerful machine, as full Firefox build takes about an hour on my 3 year old PC with Intel Core 2 Duo E7300 CPU. I knew I needed something like Intel i7, so I asked about that and Mozilla ordered me one. I would prefer to assemble a computer myself (at least select the components), but as it had to be ordered and paid by the company, I didn't have much choice, had to go with some brand name. 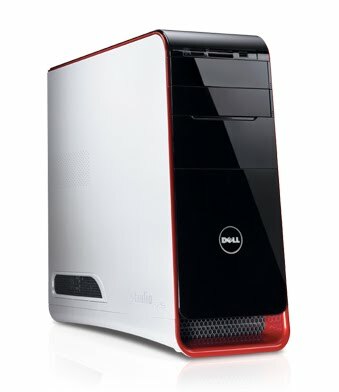 Dell was one of the obvious choices, so I just pointed at some Dell XPS with i7 and configuration close to what I wanted, and it was ordered. So, I got the new PC set up and running, got Ubuntu installed, copied most important stuff from the old PC, set up Mozilla environment, and tried the build. It took about 20 minutes! A huge improvement compared to the old PC! Now I can build even during the work day, not overnight, as I usually did before. By the way, it took me a while to install Ubuntu. I wanted 32 bit version, as it's known to have less compatibility issues, but its installation was consistently failing somewhere in the middle. I burned three CDs on two different CD-writers, tried USB-drive - no luck. Only the alternative (text-based) setup worked, though it was very slow. But after I finally installed and ran the system I realized, that 32 bit limits the available RAM to 4GB. Somehow I forgot about that, or rather just didn't think that Linux has the same limitations as Windows (why would it be different?). I just didn't use 64 bit system, and didn't have more than 4GB of RAM in my PC before, so my unconscious mind didn't tell anything. Anyway, I installed the amd64 version, got access to total 12GB of RAM, and now I'm all set.